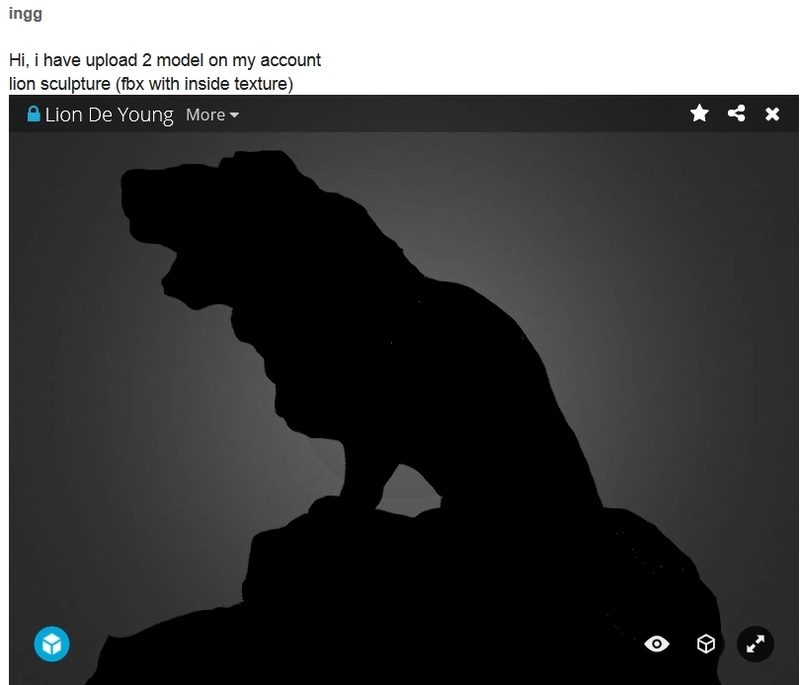 If i see 3D model on firefox V35 adobe last version and unity plugin i have texture problem, if i see this 2 model on baidu spark browser (i think also other chrome browser) i all work good. Okay, glad to hear it, thanks for the update! 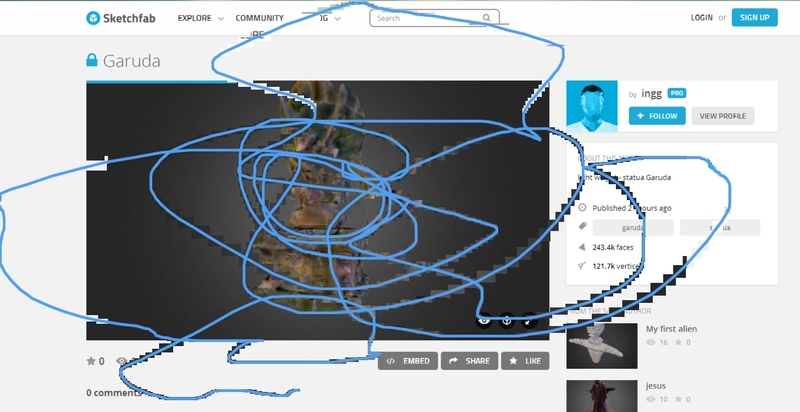 umm Sketchfab use html5 + java? Problem appear another time with 2 different appearance: all black and bad texture wrapping. 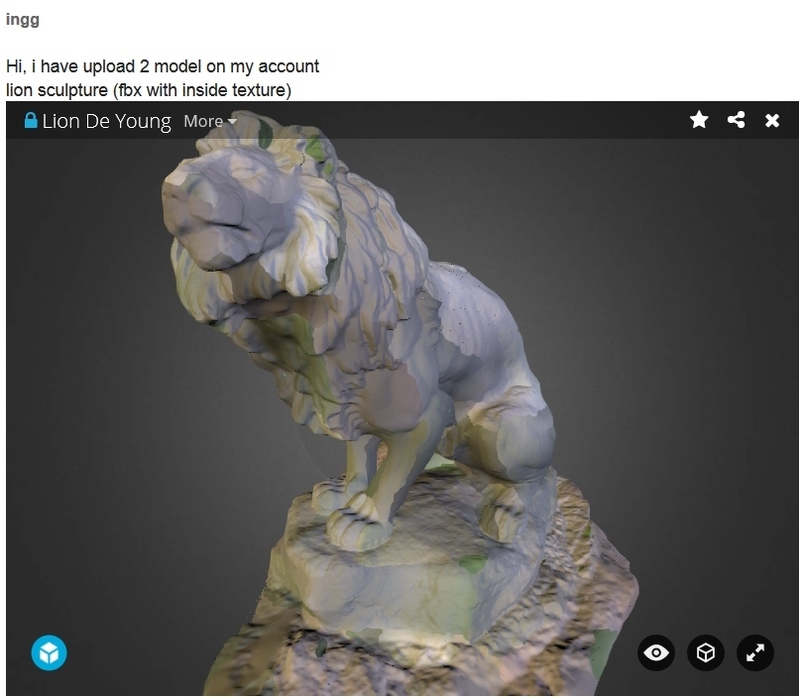 I have 2 sketchfab model open on browser. bad cache between two model into same browser session? Hmm it could be. I've seen that before. Lion and "farina barilla" on top of this topic work good! np, but effectively, baidu spark is diffused in Korea and China. I can't reproduce the bug (which model?). Is it fixed yet? i have yet blue line problem with mouse right button and all model.